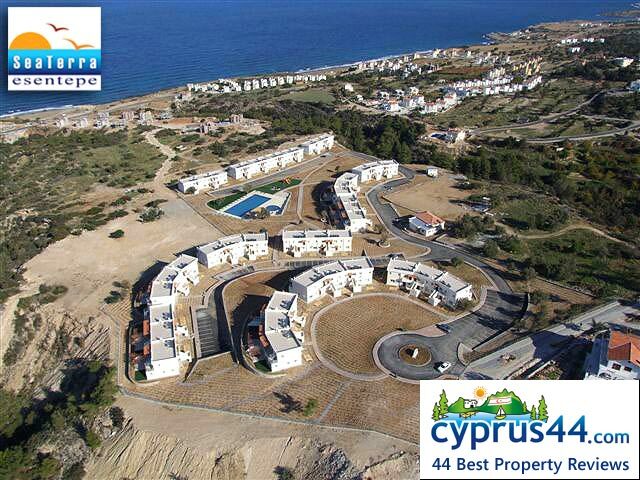 SeaTerra Esentepe is one of the best properties listed in Cyprus44 property reviews. The directors of SeaTerra have used their expertise from property developing in Spain to develop quality properties in gated developments in North Cyprus. Backed by international investors, the company prides itself on building high quality properties in pleasant surroundings. SeaTerra was the first development company to be ISO 9001 accredited, an internationally-recognised standard of quality management. 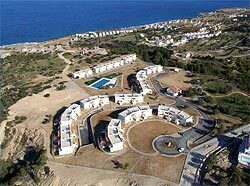 The SeaTerra apartments were designed by Spanish architect Manuel Camisuli, who studied in the UK and is an Associate of the Royal Institute of British Architects (RIBA). He has also designed several high-end luxury developments on Spain's Costa del Sol. Certainly, buyers at SeaTerra Esentepe were happy to buy off-plan apartments, since the project was entirely sold on completion in November 2006. A few resale opportunities are usually available, but this is a new development and most buyers will probably want to take advantage of their new purchase this summer. The development lies within sight of the sea, and the apartment blocks form elegant curves to create a classical feel to this site. Mature olive trees border the site, and beyond are the pine forests and ravines that make this area around Esentepe so pretty. The seaward apartments have good sea views, as the land slopes away from the site to the sea, and there are also good views from the east side of the site across a natural ravine to the village and coast beyond. The SeaTerra apartments are also just a 35 minute drive from Ercan International Airport, so you can go from 'plane to pool in an hour on a good day! There are 88 apartments in the four main block areas, sharing a large communal adult swimming pool and a much smaller children's pool. The pool area is at the centre of this diamond-shaped site, and yet the apartments are positioned such that noise disturbance from the pool is kept at a minimum. The SeaTerra apartments are a little low on other facilities, however, with a gym and a children's' playground the only outlet for the energetic types. The apartments themselves are in two storey blocks, and unusually for apartments, all ground floor properties have both patios and private gardens. (Admittedly, that privacy will come from hedges that are taking their time to grow in the North Cyprus heat...) Hence ground floor apartments are called garden Apartments, and first floor Penthouses, since they have roof terraces and a small balcony. 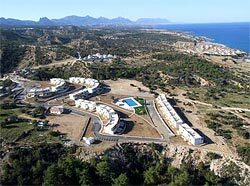 One concern for buyers of new-build properties is maintenance, so the SeaTerra apartments at Esentepe have their own dedicated management company, Vistamar. The company can manage your property for you, making holiday lets and rentals easy to manage. 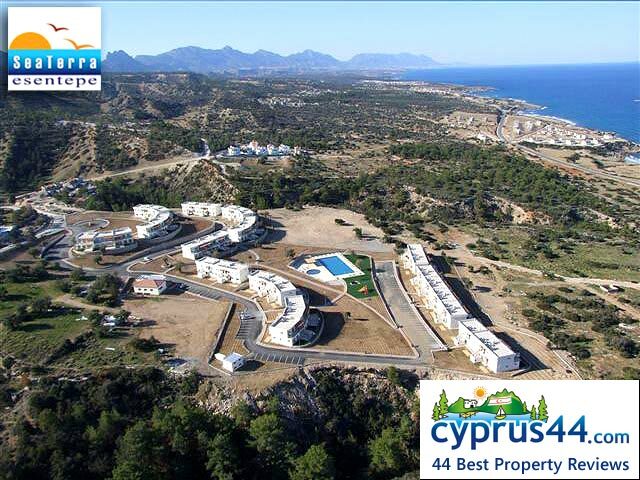 In addition, the security of being in a gated complex with electric security gate and fencing gives added peace of mind when you are away from your North Cyprus property. As SeaTerra's web site says, they are: "The only Northern Cyprus property developer to successfully hand over two major projects on time to 250 satisfied customers." You can't say fairer than that! This web page is served on 19 April 2019 at 23:17:37.